A 10 WEEK FOLLOW ON PROGRAMME FOR WOMEN WHO HAVE COMPLETED THE FREEDOM PROGRAMME. We have completed the pilot for this programme in Wigan with the Freedom Programme Charitable Trust. 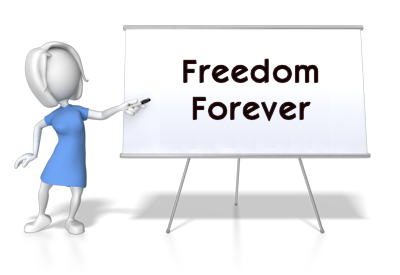 Many women have contacted us to ask for a follow on the Freedom Programme so we have created Freedom Forever. They have asked for this programme to reinforce what they have learned on the original especially when they meet a new partner or when having a ‘wobble about the past. Some women have experienced yet another abusive relationship and wondered how they could have fallen for it again. Women who are involved with Social Care tell us they need information about the procedures used by various agencies. Others asked for help to cope with the perpetrator who was manipulating a variety of agencies in order to abuse them further. We have included an overview of child protection procedures and information about how to seek the most effective legal advice. We have also included exercises to increase assertiveness and to respond to the specific effects on children from exposure to the tactics of the dominator. The cost includes refreshments but does NOT include lunch. A hard copy of the manual is also included and this can be updated in the form of a download. 2.00 Practice Session using the Manual - Parenting 3.30 Retaining Freedom Forever.